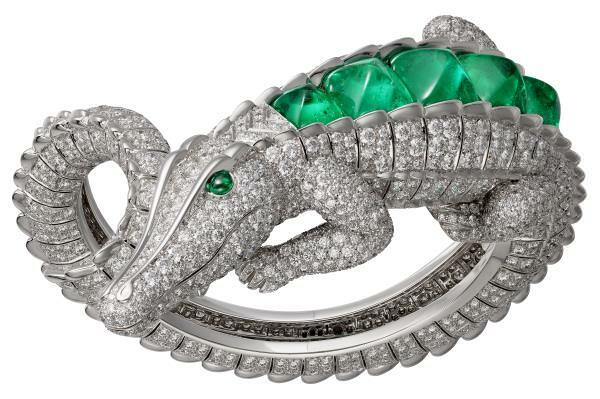 This strikingly realistic reptile, with a powerful body, legs that are ready to move, and an emerald gaze, is distinguished by its protective yet predatory attitude. 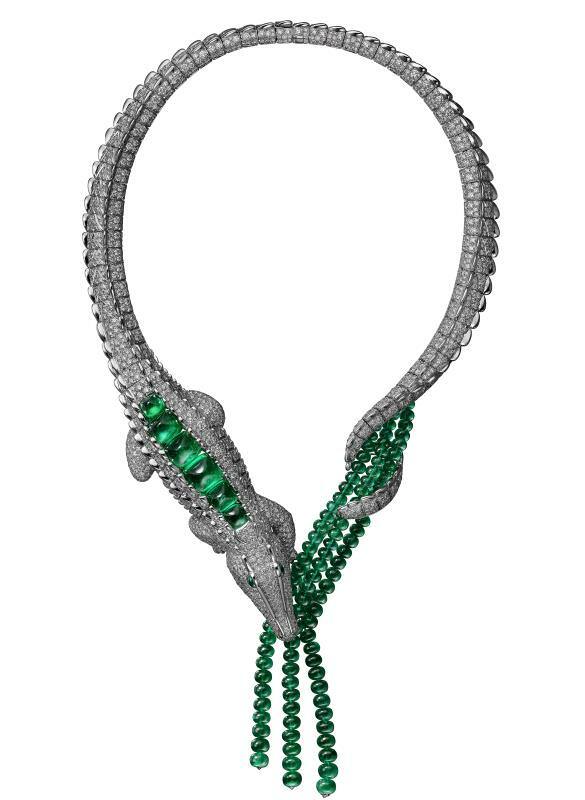 The design of the four pieces which make up this collection is true to Cartier’s tradition of naturalism: with a single feature, the ridges on the reptile’s back. Stretching out towards the tail, the pieces can be wrapped around the neck, the wrist or the finger, or be suspended as a pair of pendant earrings. The animal’s legs, like its scales, have been specially designed to feel comfortable against the skin.